The Green Lane network invites you to learn from customs authorities, the lawyers of Green Lane and other experts on how to ensure solar panel imports comply with the applicable rules. We will also discuss some of the defenses that have and have not been successful for importers facing investigations by customs across the EU. In 2013, the EU imposed anti-dumping and countervailing duties against solar cells and panels from China. This was later extended to imports consigned from Taiwan and Malaysia. Some imports are exempted from these duties, provided they are sold above a minimum import price. Alongside this complex rules of origin and documentary requirements apply. These trade defense measures have resulted in the significant diversion of trade, investigations into alleged circumvention practices by the European Anti-Fraud Office (OLAF), and one of the largest efforts by the EU and member states’ customs authorities to recover duties. Many importers and/or their customs brokers have been caught by surprise and now face steep customs debts. This seminar will take place on May 11th, 2017 at ‘Royal Yacht Club de Maas’ at Veerdam 1, Rotterdam. Several panelists will inform you on customs, import duties and anti-dumping duties in the solar panel industry. Speakers include customs officials, members of leading trade associations, EU customs and trade law lawyers from the Green Lane Network and Trade and Customs lawyers from Jun He, Beijing, China and Lee & Li, Taipei, Taiwan. 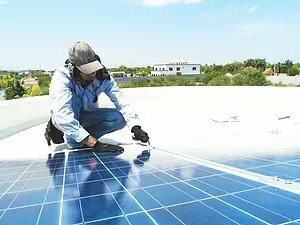 Importers, traders, trade associations, logistic service providers, customs brokers, in house lawyers and lawyers in private practice, and anyone who may have concerns relating to the importation of solar cells and panels. This seminar will finish around 16h30, with drinks and networking opportunities afterwards. Participation in this seminar is free.